Note: On NNR today Samantha Bunten of NBC Sports & I discussed the Browns game in detail. The podcast is on https://fryingpansports.com/radio-show/. For this week only the pregame pod will be up at 6 PM EDT right after Moohead radio at 5 on http://mooheadradio.com/2.5/. The post game show will be up Friday at 6. No question it was an UGLY win on Sunday against the Bucs. But even ugly wins are beautiful to a fan base that has seen so few of them. The O got off to a terrible start again last week. The O line continued to struggle without all pro C Alex Mack. The latest sub trying to fill that hole is Nick McDonald who got blown back into the QB on nearly every play. The O line still can’t figure out how to block the End Tackle game where the end comes inside and the tackle goes outside. The OT MUST drop straight back and push the DT to the outside while the OG pushes the DE into the DT’s path. The running game disappeared in a swarm of white Bucs uniforms. RB Ben Tate had 3 yards in 10 carries. Terrance West did a little better but is still dancing rather than finding a hole and cutting up field. QB Brian Hoyer was decent but threw an interception. The other pick was off the hands of a receiver. The mini-mite WR group continues to impress. WR Travis Benjamine, Andrew Hawkins, Miles Austin and Taylor Gabriel all had solid catches. I wish Benjamine could catch punts the way he catches passes. Hoyer still struggles with his accuracy due to poor footwork. That is now more a case of Hoyer not being able to step into throws due to the collapse of the middle of the O line. The combination of no running game and spotty passing attack resulted again in more field goals than touchdowns. But with all that, the O did enough to win. The D still can’t stop the run. Injuries have hit the D line more than any other position for the Browns. But the D has been helpless against the run for years. This scheme seems to be better but the Browns can not stop the edge run. DE Desmond Bryant crashes inside too often before seeing if the play is a run. That leaves the OLB responsible for turning the run inside. ROLB Barkevious Mingo can’t hold up against a WR block let alone an O linemen. The Browns went back to the heavy blitz scheme again with very little to show for it. Even sending 8 guys the team could not get to the QB. That left the WR corps with man coverage which did not turn out well. It does look like CB Joe Haden is becoming the shut down corner the Browns need so badly. The rest of the backfield is coming around and undrafted CB K’Waun Williams has been a pleasant surprise. First round pick CB Justin Gilbert took a step back on Sunday but is starting to show promise. The “IF” is based on the Browns beating the Bengals in Cincy on Thursday. If they do, they are truly in contention. If not, they are pretenders rather than contenders. I was on Chicago radio last week and asked which the Browns were. I said they were neither because even pretenders beat the teams they are supposed to beat. The loss to the Jags was nearly terminal to the Browns chances of getting into the playoffs. 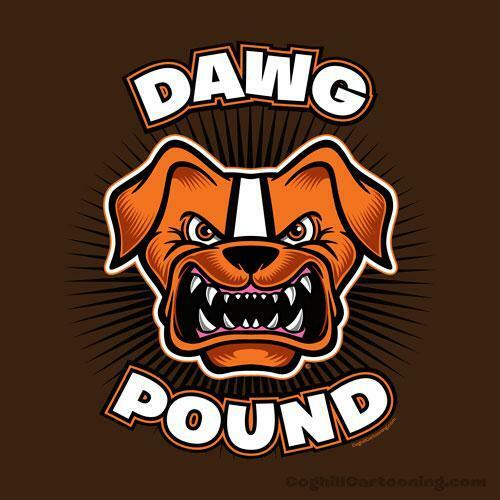 But a win over Cincy will go a long way to moving the Browns into the contender class. Today is election day. Many great Americans have given their lives to allow us all the right to vote. Please honor their memory by voting. Thank you.